An efficient, unique design offering 360° seamless illumination. • Luminous Flux: 13,500 lm. Applications: Post Lights, High Bay Lighting, Studio Lighting, Streets and Parking Areas, Etc. 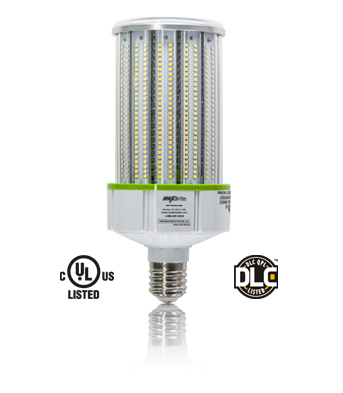 *Based on comparison to HPS/MH Fixture. At $0.12/kWh and 12 runtime hours per day, 365 days per year.